After what seemed to be ages, visited this place with family for dinner. Nothing has changed in respect with ambience or the service compared to the last visit. 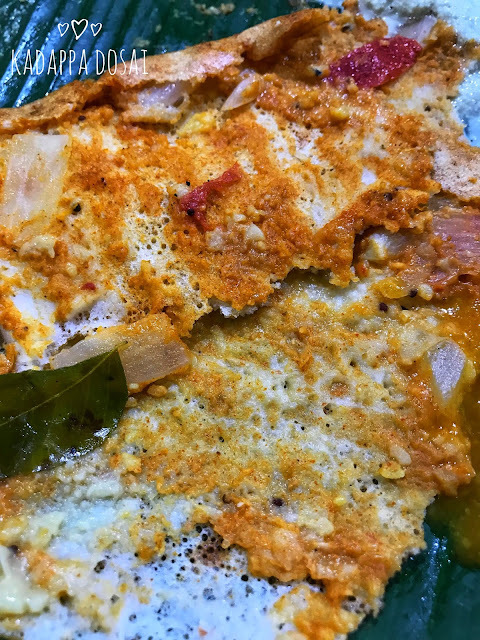 Ordered few of their "special for the day" which included vazhai poo uthappam, pudhina dosai etc, along with their special kara dosai, kadappa dosai, adai, onion uthappam, chappati and aapam. The red chutney smeared kara dosai with generous amount of spicy podi sprinkled will definitely create waterfalls in the eyes :P To eat that dosai without a sip of water would be an impossible challenge. 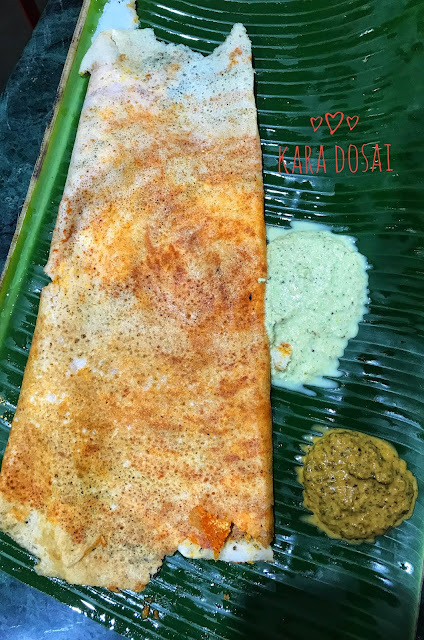 Love their kadappa dosai, which has the same red chutney with a thin layer of potato masala smeared inside. This one is also equally spicy. 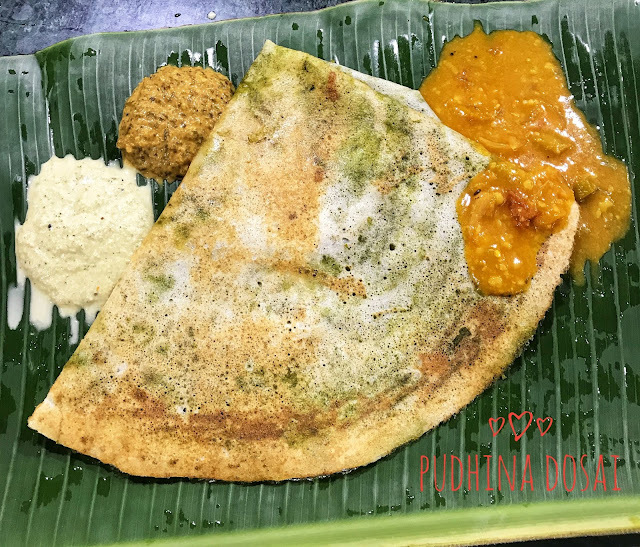 Pudhina dosai was fresh with a strong and spicy pudhina chutney smeared over a thin and crispy dosai. 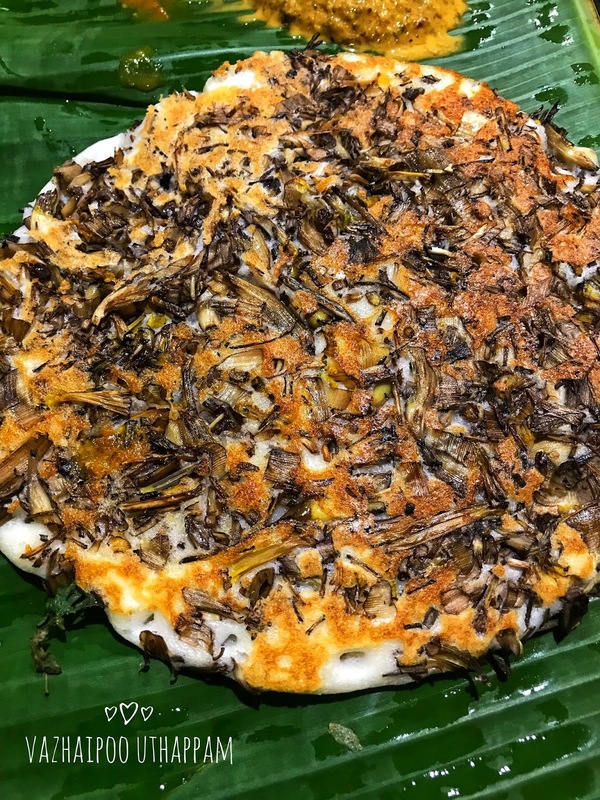 Vazhaipoo uthappam was out of the world. 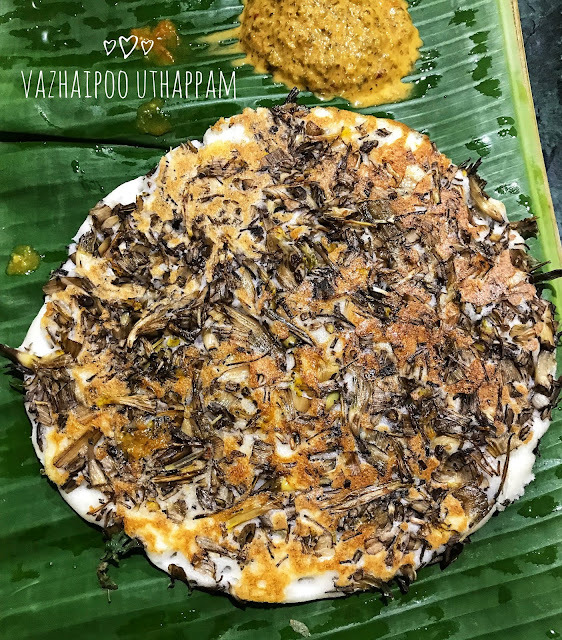 Steamed vazhaipoo spread over a thick uthappam was so light and flavourful without any extra masalas. Adai was loved by the hubby. 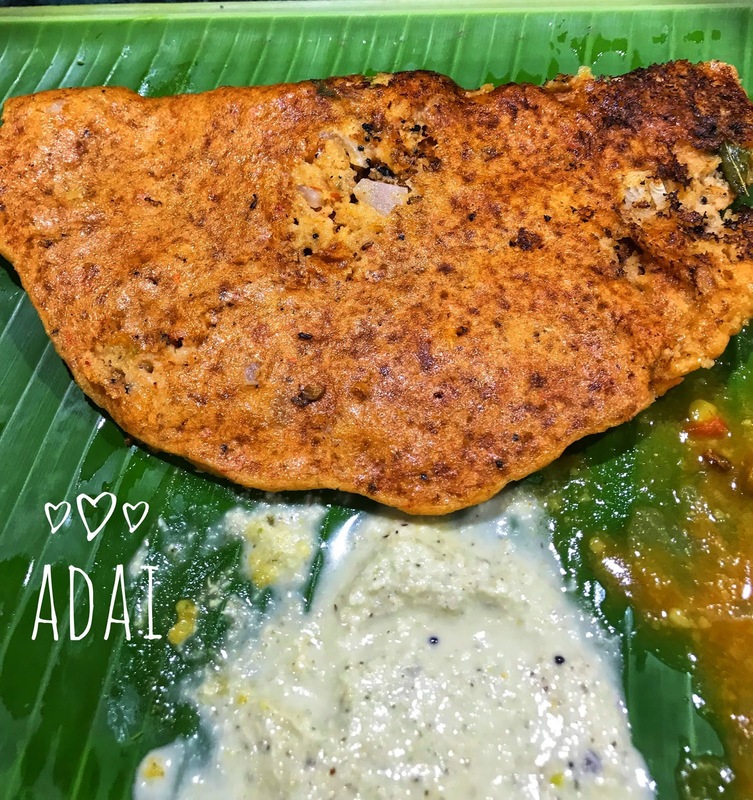 I prefer adai to be a bit thin and little crispy at the centres. This was too thick to my liking. Onion uthappam was huge and we struggled to finish it after the first round of dosai. Service is basic and can go either way depending on the mood and workload of the staff. One day they'll make you feel at home and on some days you got to wait for chutney for about 10 mins. 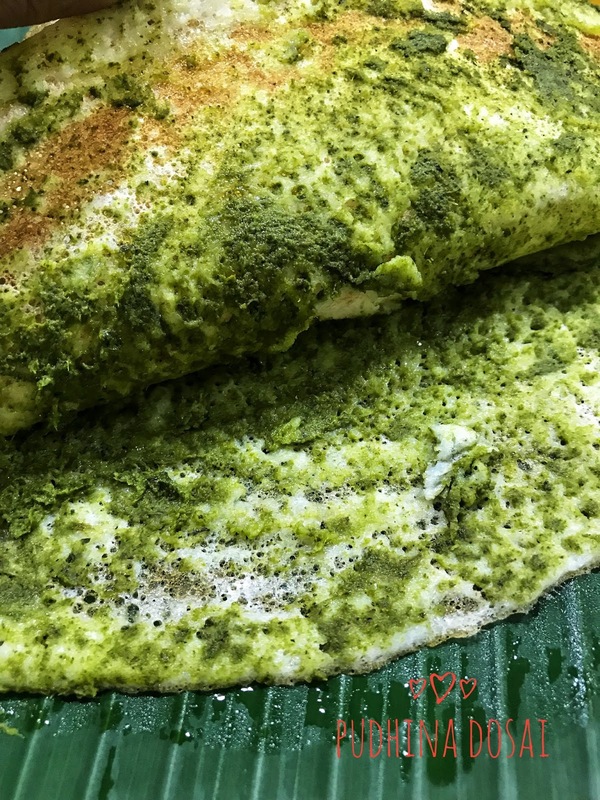 Dosai are priced around 40-60 bucks. We paid 375 in total for all these along with a plate of kuzhi paniyaram & aapam. They are open for lunch and dinner. 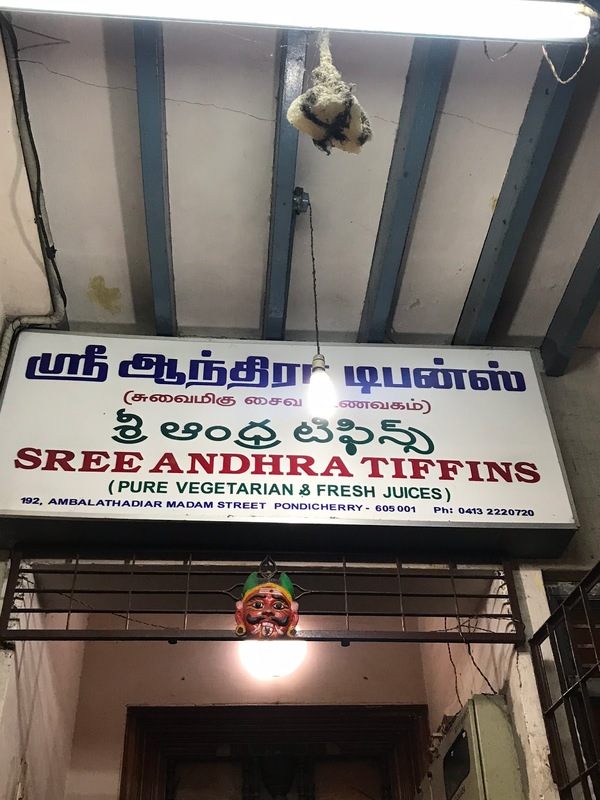 Located in kosakadai street a few buildings away from Lakshmi Jewellery.